Here we are, as promised! You all went gaga for the amazing stop motion video i posted last week. 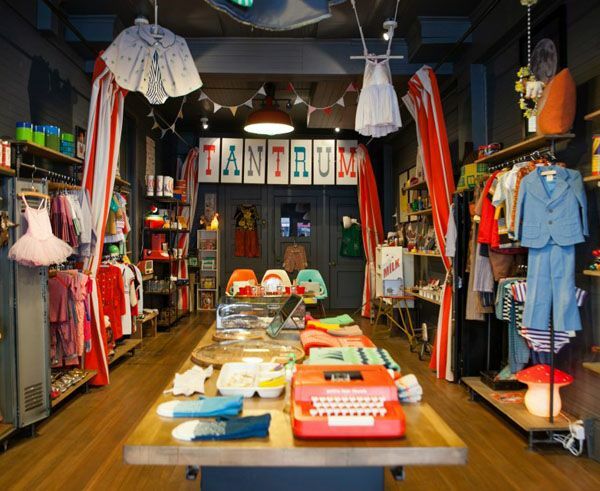 Let’s take a little more indepth look at the adorable new San Francisco shop, TANTRUM. 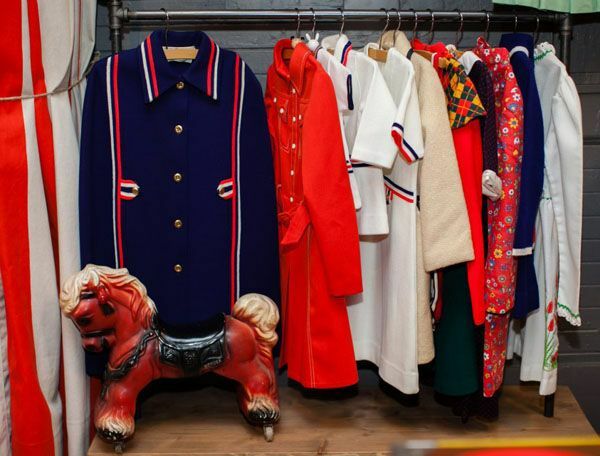 Folks, this shop is a must see for all vintage loving parents—and even if you don’t have kiddos, you’ll fall quickly to Tantrum’s charms. 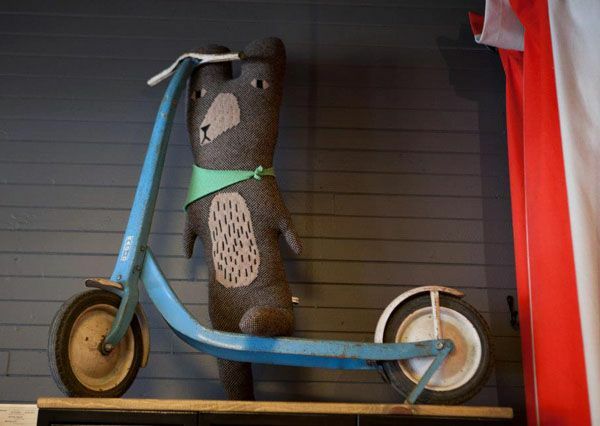 We sat down with shop owners Amanda Weld and Michelle Spear to find out a little more information about this lovely store! KIDDO: Hey ladies! So wow….Tantrum! We’re officially in lerve! It’s so lively and fun. What was it that brought you guys together? 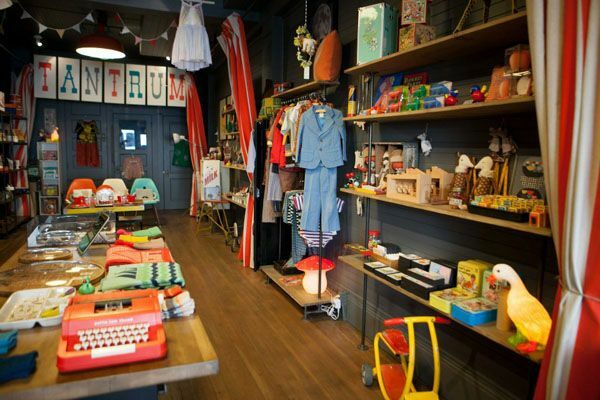 TANTRUM: Well, we’ve both always loved vintage. We both sourced some great props for Michelle’s wedding last October and had so much fun that it started sparking ideas for possible collaborations together. Amanda appreciated Michelle’s eye for decor and entertaining and Michelle loved Amanda’s originality and boundless creativity. 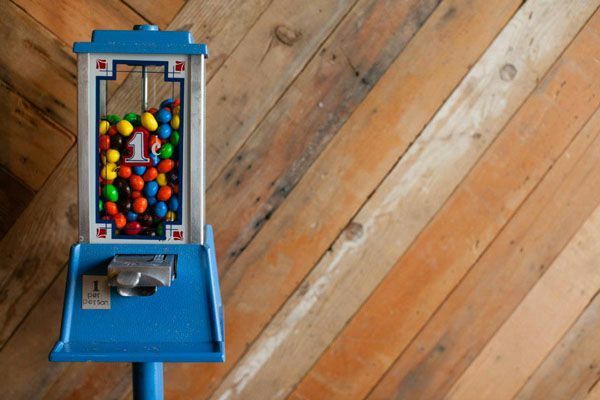 When the opportunity for the space came up, everything just snowballed and we went for it! 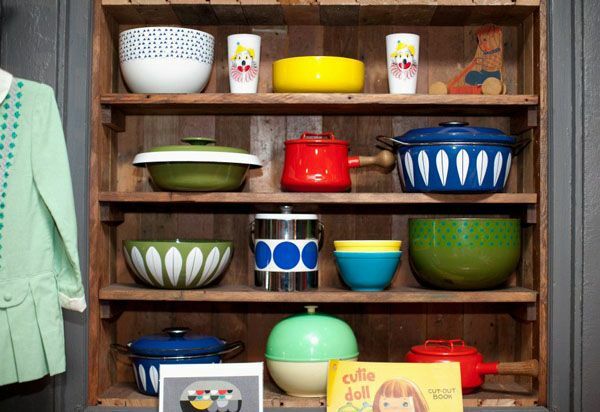 We’ve both always loved vintage—especially the toys, housewares and accessories from yesteryear. Together we hit estate sales, yard sales, flea markets etc and started pulling our inventory together. I have to admit, countless things came out of our houses. Amanda’s personal collection took quite the hit actually! KIDDO: You also have some really special modern pieces, which I love too. It’s a great mix. TANTRUM: Thank you! There are so many excellent modern brands that were just a perfect fit. 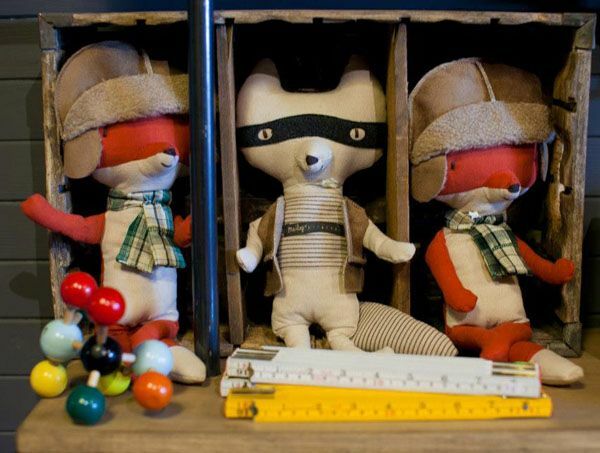 We especially love the retro cool of Woven Play and the handmade modern style of brands like Bla Bla and Zid Zid. KIDDO: So let’s talk about the decor. That red and white striped curtain is fantastic. 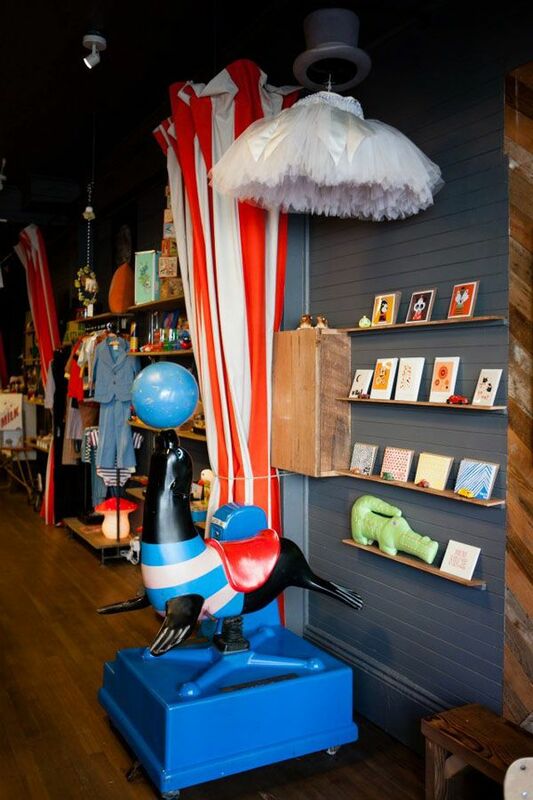 What was the inspiration for this colorful, kid-centric wonderland?? KIDDO: The space itself is so funky. I have to tell you, I love the dark grey walls. TANTRUM: Yeah, we had a lot of skeptics with the dark gray color we picked for the walls but we stuck to our guns and knew that the vibrant colors of the 50’ and 60’ would really pop in front of it. Plus its exactly as a carnival is: dark under layers and layers of wild color and excitement on the surface. Amanda’s husband Richard did most of the painting—everyone seems to really like the color. We even had a lady from the neighborhood borrow a pint to see how it would look in her house! She used it too! KIDDO: Haha, I love it! See, you’re already adding color to the neighborhood! Opening a store is exciting, but I know it’s a lot of work. Was the store front pretty much ready to go or did you find you had to do a lot of prep work? 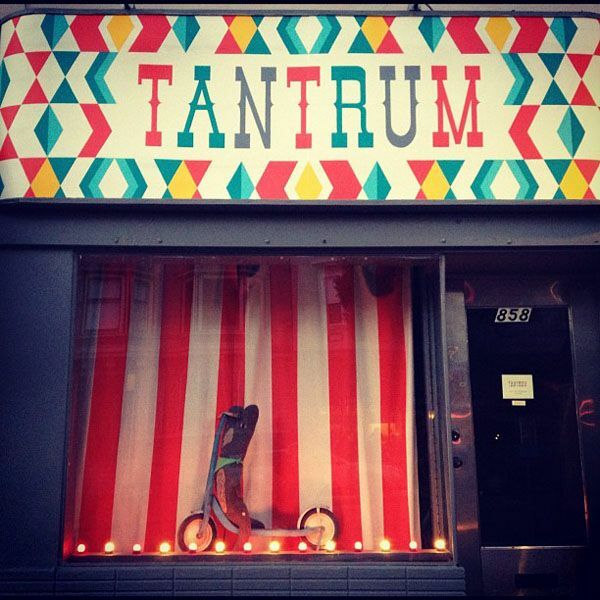 TANTRUM: Oh there was a lot of work to be done, but we knew we had a great old place to work with and couldn’t wait to dig in through all of the layers! The original walls have this great wooden horizontal wainscoting and were exactly what we were looking for to create that ‘traveling circus wagon’ look. First though we had to remove a wall and rip out bits of this and that that had been layered on top of it for years. When redoing the walls we actually found a cool old receipt from 1945 for an electrician that was signed ‘Verra’s Hair Salon.’ What’s even more interesting is that after weeks of pulling off layers of linoleum flooring we found that dear old Verra had left bobby pins and bits of hair all over the wooden floors and just slapped the futuristic linoleum floors right on top without even sweeping first! Needless to say we gave the place a good clean up too. KIDDO: OK, so just a few more questions. I know the shop is your baby, but do you guys have kiddos of your own too? TANTRUM: Amanda has two little ones, Henry (age 7) and Thisbe (age 3). She’s been giving Henry vintage carnival themed birthday parties since he turned one. For his 1st birthday, she dressed him up as the strong man and even rented a vintage carousel and spun cotton candy in the front yard! (She has yet to out do that first party…) Her daughter Thisbe is too obsessed with purple pink and MAGENTA to make it work! Ha! Michelle is recently married and planning to have kiddos herself. Especially now that she is living and breathing kid-centric awesomeness! KIDDO: I highly recommend it. Especially now that you have this awesome shop. 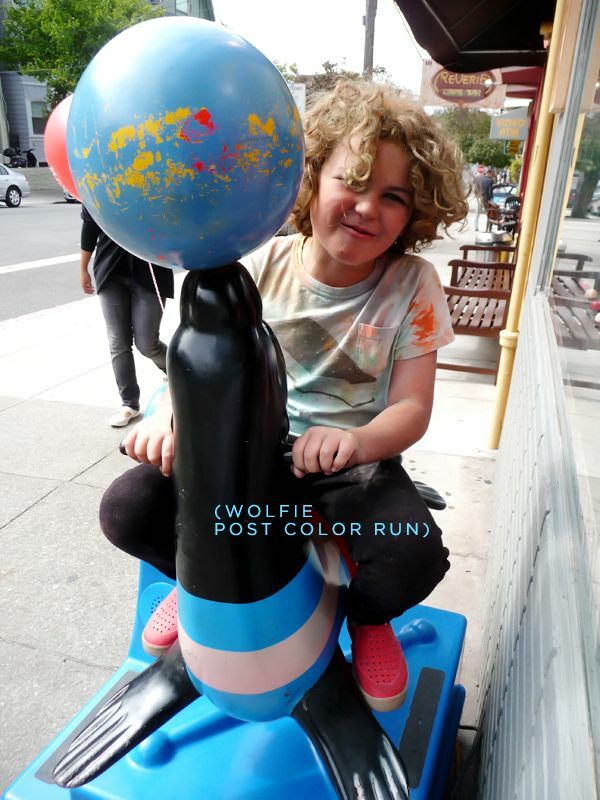 I know Wolfie was pretty smitten by the place when we popped in. Do you remember how we stopped by after we had just done the Color Run and were both filthy with color?? haha! I was so embarrassed yet totally thrilled to see Tantrum up close and personal! And I remember the vintage type writer and the fabulous seal were two of Wolfie’s faves. Oh speaking of, what are some of your favorite items in stock? 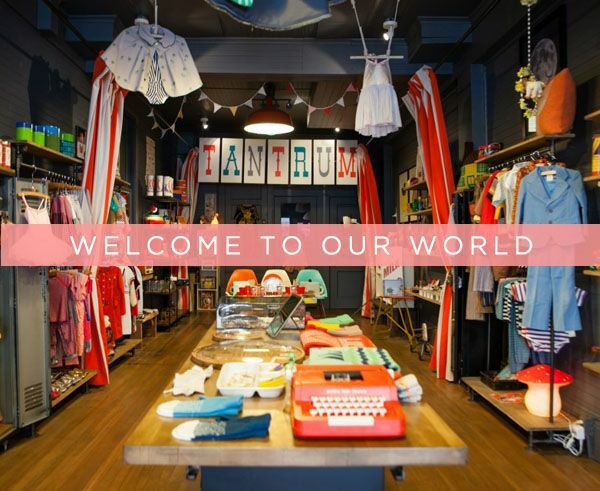 TANTRUM: It’s hard to say, we love everything so much. 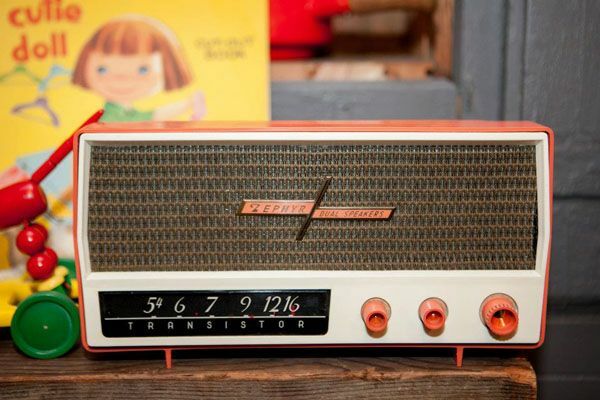 We always have great stuff ‘in house’ all around but I have to admit some of the one-of-a-kind vintage items are super hard to see go. One thing we hope never to part with is our seal! 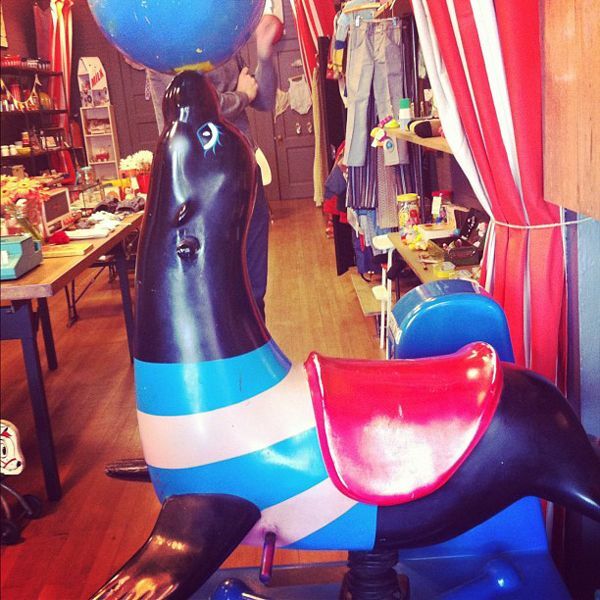 He is an authentic mechanical-coin operated ride from the 50’s and the kids (as well as grownups) love him! KIDDO: So what’s next on the horizon for the Tantrum Girls?? Any big plans? I have heard rumblings of an amazing baby shower that went down over there, which is such a genius idea! TANTRUM: Yep! It was a really fun event. We’ve actually hosted a few birthday parties too and we hope to do many many more events. For our grand opening, we hired a clown and a magician and had all of the kids sit on our hand made benches to watch the show. It was such an exciting moment for us. A really special memory was when an old timey version of ‘Home on the Range’ was playing on the stereo and Amanda and I looked out at the sea of smiling children and our stripey curtain and our eyes met and we both burst into tears from excitement, pride and exhaustion! We are really looking forward to being more involved in the community and offering things like art classes, story time, reel to reel movie nights and more. Oh, and of course then there’s HISSY FIT! KIDDO: Yes indeedy! Shall we tell everyone about Hissy Fit? TANTRUM: Totally! 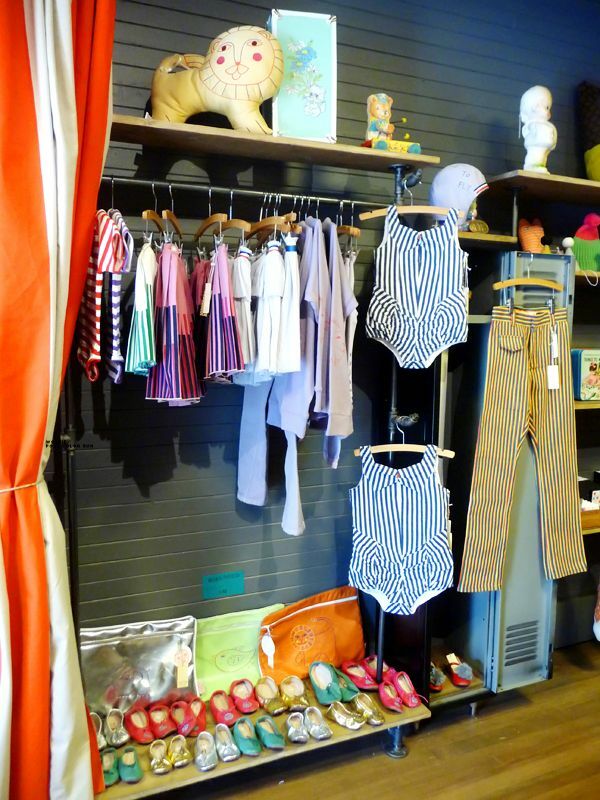 While the majority of our shop is geared towards kiddos, we have so many people ask us about grown up vintage. 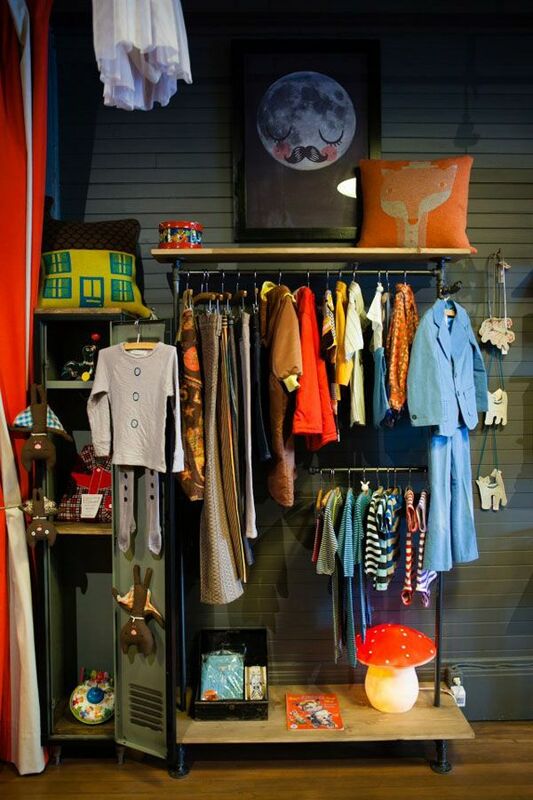 Both of us have quite a bit of vintage clothing so we had this idea to have a pop up shop….HISSY FIT, Tantrum After Hours! And we enlisted one of our favorite vintage bloggers—ahem— to come along for the ride! KIDDO: Haha, yes it’s true! Hissy Fit is a Tantrum + Modern Kiddo Power Hour! If you’re a Bay Area local, be sure to stop by December 6 from 7:30-10:00pm. We’ll be having a special holiday sale loaded with lots of pretty party dresses and coats and sparklies—guaranteed to make you a stand out at any of the upcoming holiday parties you’ll be attending! TANTRUM: Oh, and don’t forget. 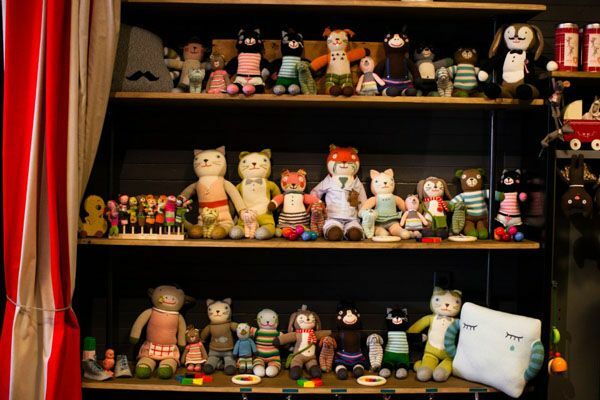 A portion of the proceeds will always go to a children’s charity—our last sale was in honor of the San Francisco Child Abuse Prevention Center. We’re so excited for the sale. We’ll have fun giveaways too! KIDDO: It’s going to be such a blast! 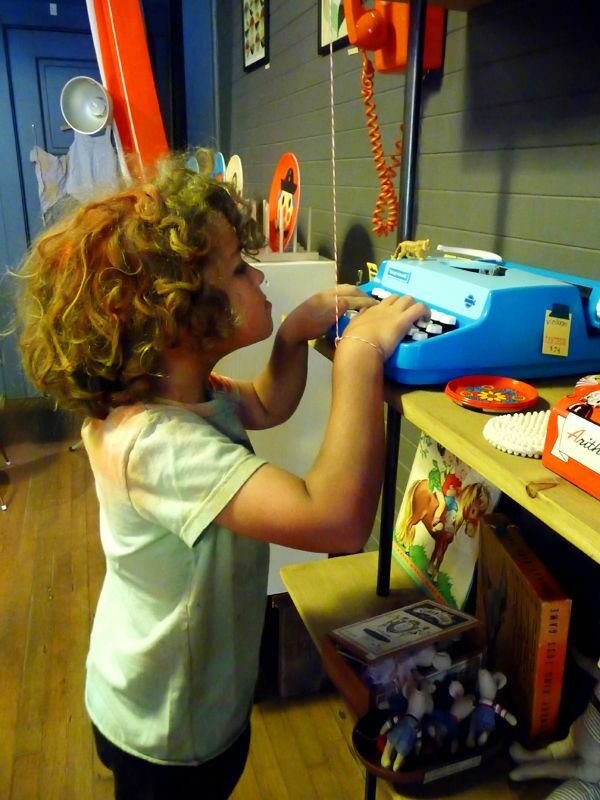 I hope I see lots of Modern Kiddo readers out there shoppin’ up a vintage storm! Hey girlies, thanks SO much for stopping by. We LOVE what you’re doing over there! I can’t wait to see what you have cooked up next. Good Lord I love that store. Wow. I want I need I want I need……..
Congratulations, ladies! 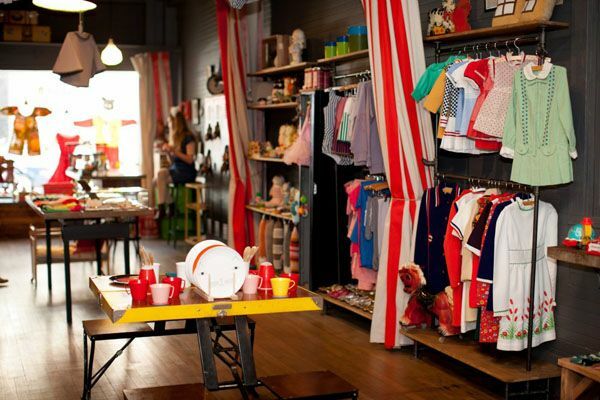 This store looks amazing!